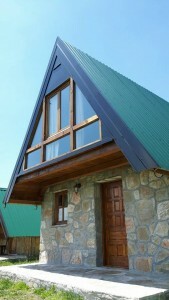 Deluxe apartments are huts on two floors. 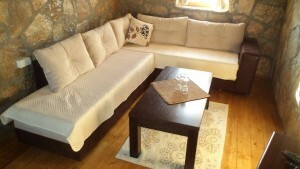 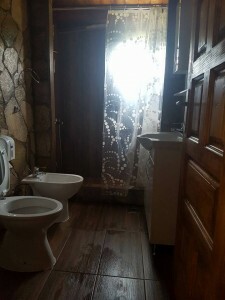 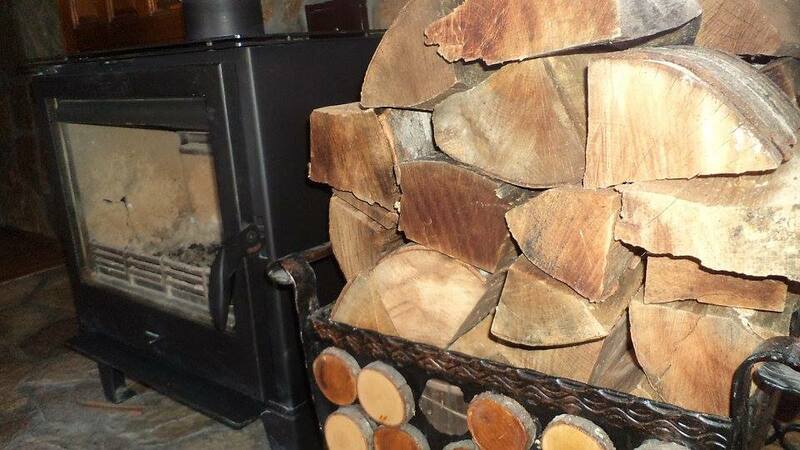 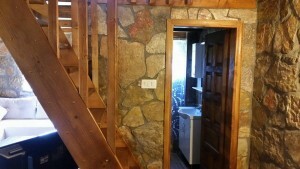 On the first floor there are living room ( with sofa, TV, mini bar, fireplace…) and bathroom. 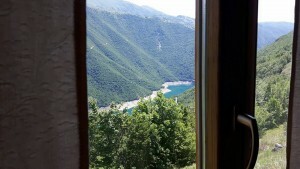 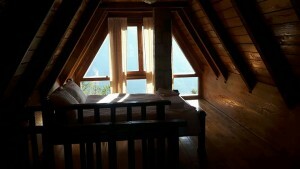 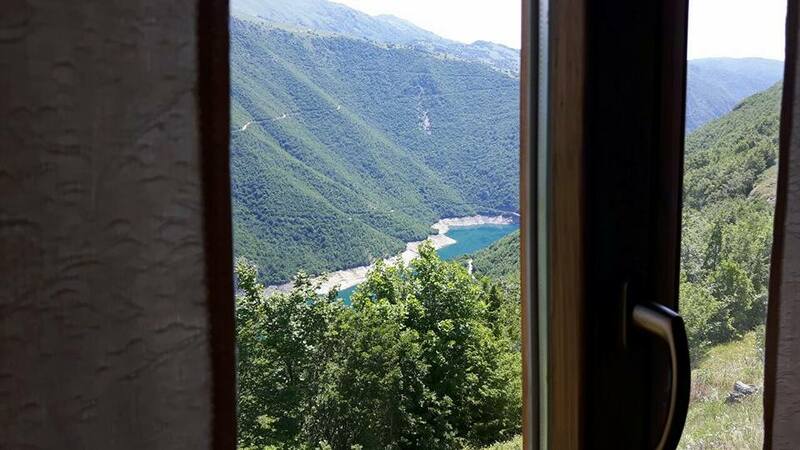 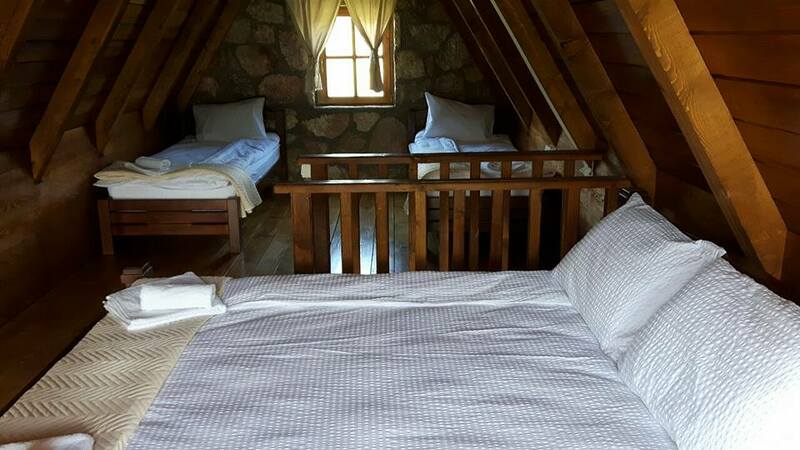 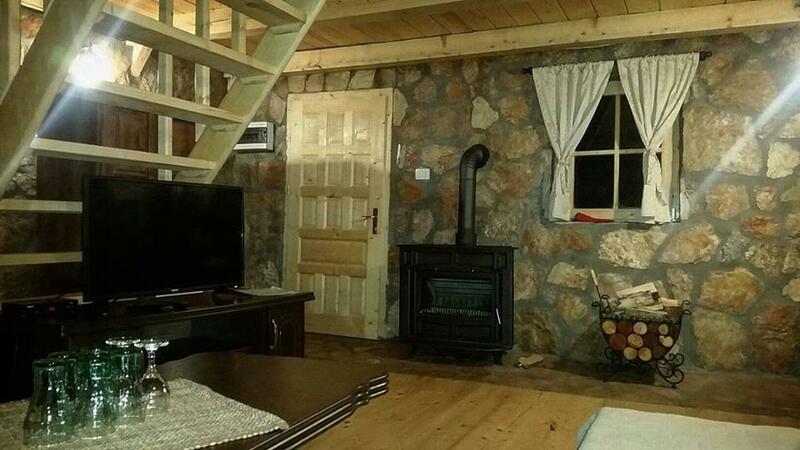 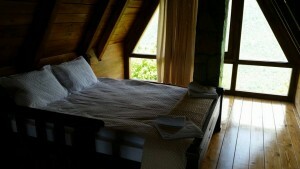 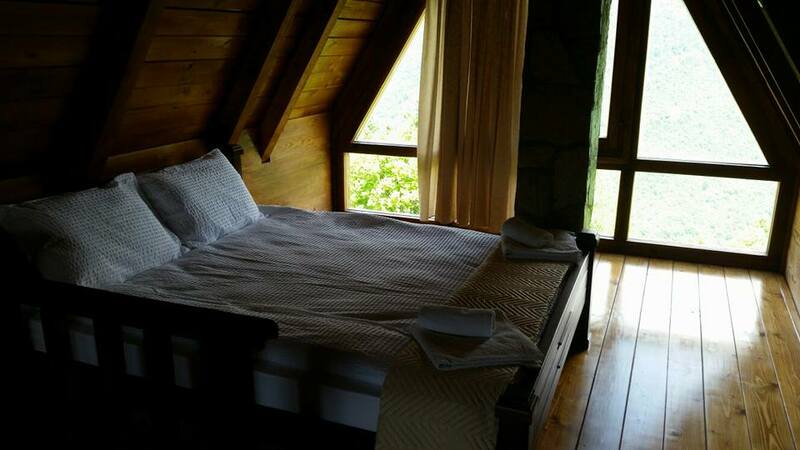 The second floor gives you view on Piva lake. 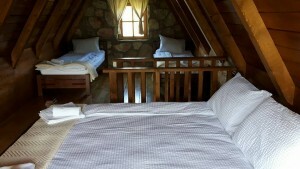 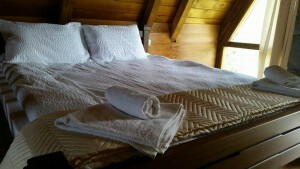 On the second floor there are two single beds and one double bed.